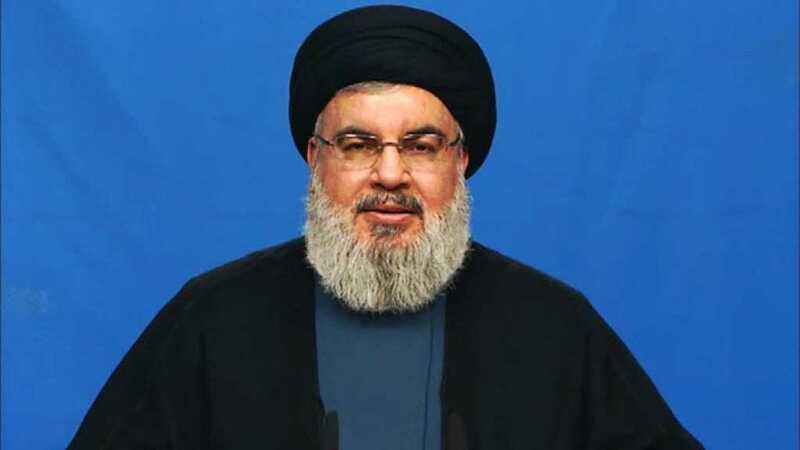 Hezbollah Secretary General His Eminence Sayyed Hassan Nasrallah delivered on Friday a televised speech in which he tackled the latest internal and regional developments. “There are those who bet on regional changes and they have to end this because the developments are in the interest of the axis of the resistance, whether in south Syria or Yemen, specifically its western coast, ” the Resistance Leader mentioned. “Our call for expediting the formation process is based on national calculations and needs that are related to the social and economic situations and to preventing a power vacuum. It is far from any regional development,” he clarified. He further reiterated the call for precise commitment to the sizes of the blocs that had resulted from the parliamentary elections. Moving to the file of Syrian refugees, Sayyed Nasrallah expressed his surprise about the recent discussions. On another level, Sayyed Nasrallah accused some media outlets of exaggerating the security situation in Baalbek -Hermel district. He further urged the Lebanese Army and security agencies to exert continuous efforts not to accept any cover to anyone breaching the law or security in Baalbek-Hermel. Regarding the recent debate issuing a new citizenship, Sayyed Nasrallah announced that Hezbollah won’t declare its position through media outlets. “This could achieve certain national and economic benefits,” his Eminence predicted. “Everyone must shoulder his responsibilities in supporting the Palestinian people to face the executive steps of the “deal of century”,” he emphasized. Meanwhile, Sayyed Nasrallah uncovered that the developments in southern Syria are very positive and they confirm the collapse of the terrorist groups. In addition, Sayyed Nasrallah saluted the Iraqi brothers at the Syrian-Iraqi border. “The Popular Mobilization Forces played an effective role in defeating the Daesh terrorist group in Iraq,” he went on to say. On another note, Sayyed Nasrallah viewed that US President Donald Trump’s policy showed his real image as a “wild monster” over the policy of separating children from their parents for migrants entering the US. “Doesn’t the image of immigrant children separated from their fathers and mothers and put in isolated places clearly express the brutality of President Trump and his administration?” he wondered. Moving to the field situation in Yemen, Sayyed Nasrallah rejected Saudi media fabrications that Hezbollah Resistance men have been killed there. “But whether we’re there or not, I categorically deny that there are Hezbollah martyrs in Yemen-not in the last few days nor in recent years,” he said. His Eminence also saluted Malaysian Prime Minister Mahathir Mohamad over his decision to pull his country’s troops out of the Saudi-led military coalition. “Saudi forces and their allies must know the fact that they are fighting a nation that will never capitulate,” Sayyed Nasrallah said. Moreover, His Eminence appealed to Sudan and its people to withdraw from the Saudi-led coalition. “It is regrettable to see Sudan’s Army in this battle after it had a great respect in the conscience of the people of the region,” he stated, hoping that the experience of the West Coast battle be a lesson for Saudi Arabia and UAE.